A new coalition of mental health charities, professional organisations and service providers in Wales says patients need better access to psychological therapies. While recognising and welcoming recent Welsh Government investment in this area, the We Need to Talk Wales coalition is concerned that too many people are still waiting too long to access psychological therapies and do not have enough choice over the type, timing and location of this form of treatment. Improving Access to Psychological Therapies draws on evidence from across the UK and beyond which shows that improved choice and access to evidence-based psychological therapies delivers better outcomes for individuals as well as savings to the public purse in health and social security. Programmes such as the Improving Access to Psychological Therapies (IAPT) programme in England have provided over a million people with access to psychological therapies on the NHS, with research showing that there have been reductions to individual healthcare usage and use of long-term repeat prescriptions. The cost of mental health problems in Wales is estimated at £7.2 billion per year and the National Prescribing Indicators 2015-16 (The Annual Primary Care Prescribing Report) show an average increase of 8.11% of anti-depressant prescriptions over the years 2013/14 to 2014/15, with a rise in all health boards across Wales. Whilst valuing the role medication can play in mental health treatment, the coalition believes that there should be a greater focus on, and access to, psychological therapies focused on addressing the specific needs in Wales. 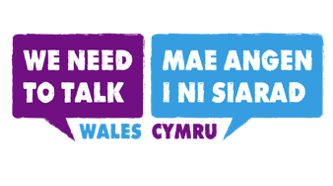 The We Need to Talk Wales coalition has welcomed the investment made by Welsh Government, and the development of the Wales Psychological Therapies Plan for Adult Mental Health, which aims to improve access to psychological therapies. The Together for Mental Health draft delivery plan for 2016-19 reiterates a 28-day target for interventions in primary care, and requires health boards to report on the 26-week referral to treatment target in specialist secondary mental health services for all patients. However, the We Need to Talk Wales coalition believes that people in need of primary and secondary mental health services should be able to access psychological therapies within 28 days of a referral request as early intervention improves outcomes. Ahead of the launch, the Minister for Social Services and Public Health, Rebecca Evans AM said: “Two years ago, Welsh Government provided a significant funding boost for health boards in order to improve access to psychological therapies. Chair of We Need to Talk Wales, Alun Thomas said: “We represent patients, carers and professionals across Wales who know from experience that talking therapies can be hugely beneficial in the recovery process. "There is also widespread evidence that psychological therapies result in significant saving to the public sector in healthcare, tax gains and welfare with benefits felt throughout the NHS. Currently, 50% of people have to wait more than three months after assessment to receive their first therapy session. Parabl provides short-term therapeutic support for individuals facing common mental health problems or challenging life events.